Namibia has been called many names – Thirstland Wilderness, The Land God Made in Anger and Land of Contrasts, to name a few. It is indeed a land of contrasts, with much of it wedged between two enormous deserts, the Kalahari in the east and the Namib in the west, and its north-eastern extremity, the Caprivi Strip, penetrating the tropical riverine swamplands and floodplains of Angola, Zambia, Zimbabwe and Botswana. With its surface area of 824 268 square kilometres, Namibia is a vast country, even by African standards. Southern Namibia is characterised by extensive grassy plains punctuated with the occasional windmill, flocks of karakul sheep and the prehistoric-looking quiver tree. 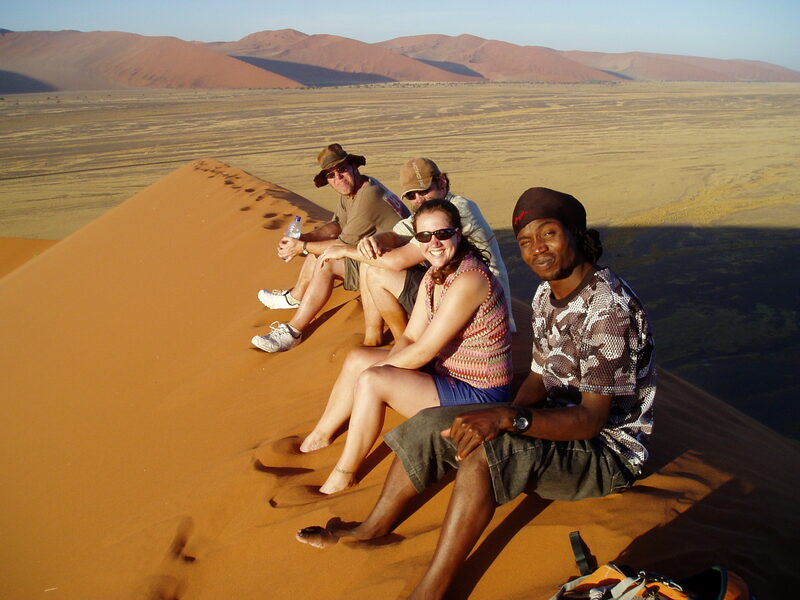 Its major features are Sossusvlei in the Namib-Naukluft Park, the majestic Fish River Canyon further south, the desert horses of Garub, the quaint harbour town of Luderitz and the former diamond settlement, Kol manskop. The central region is dominated by Namibia’s capital, Windhoek, with the rolling hills of the Khomas Hochland to the west. 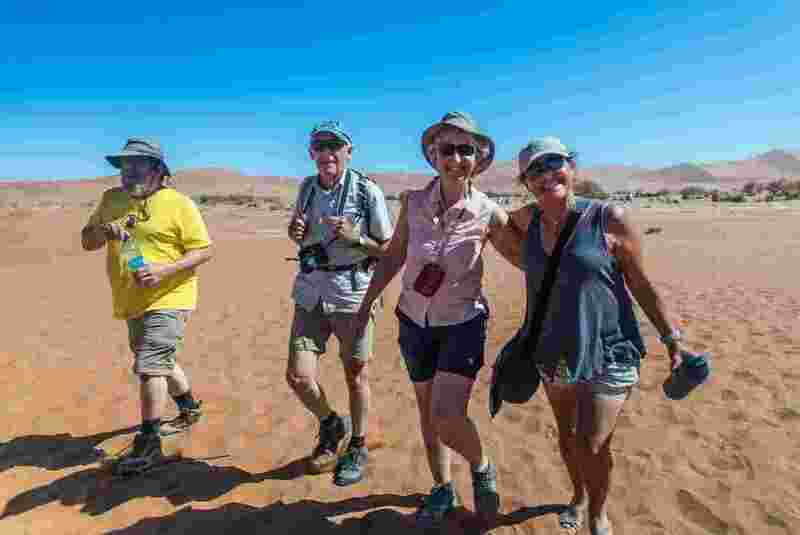 On the Namib coast are many points of interest for the visitor, including Namibia’s top seaside resort, Swakopmund, the legendary Sandwich Harbour, and the Cape Cross Seal Reserve and its affiliated lichen fields. Further north is the mysterious Skeleton Coast with its hinterland, Damaraland, a region rich in geological phenomena, and the remote expanses of Kaokoland, the land of the ochre people and desert-adapted elephant and rhino. It is in this north-western section of the country that many of the top tourist destinations are found: Twyfelfontein with its rock engravings, the monumental Brandberg famous for the White Lady rock painting and Epupa Falls on the Kunene River. Namibia’s top tourism draw card, however, is the Etosha National Park, situated in central northern Namibia, where large herds of game are seen against the ghostly white expanses of the Etosha Pan. To the east are the water-rich areas of Kavango and Caprivi, a bird-watcher’s paradise and a place for complete peace and relaxation. Supported by a good road network and an interesting mix of accommodation establishments ranging from luxury lodges and hotels to basic community campsites, Namibia has something to offer every tourist, whether a nature lover, specialist tourist, an adventure traveller, a four-wheel drive enthusiast or a person interested in local people and their different customs and traditions.